Hens and Bucks Events? - Diamond Lounge is the Answer. 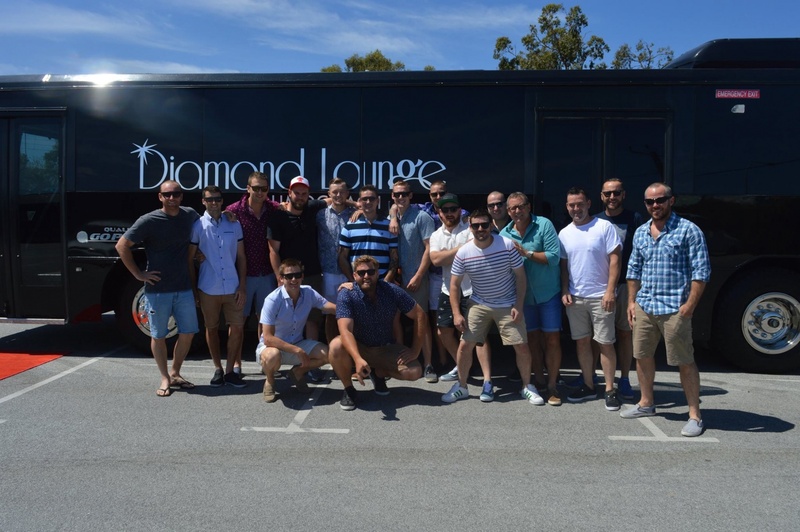 Ladies and Gentleman, We introduce to you the Diamond Lounge Limocoach, the answer for all Bridesmaids and Groomsmen all over Perth for planning your ultimate Day/Night out! wether it be a beautiful Swan Valley Tour with the Girls, Paintball with the boys or Even one of our signature night tours Diamond Lounge is happy to assist in very way and give everyone a night to remember with minimal fuss. Let us take you for a ride! This is a great way to enjoy the fruits of the Diamond Lounge - Karaoke, Dance pole & Dance Floor, Smoke Machine, basically the best vehicle Perth has to offer - and we are not just saying that! Everything you need is on board for this private and fun filled cruise, be sure to kick up those heels and enjoy every moment. even include some entertainment En route - let us know as we have some awesome recommendations! we are happy to customize the hire to suit your requirements, this can include transport to dance/cooking classes or picnics etc - Diamond lounge has you Covered! With 4.5 hrs of play time, there's no need to feel rushed. 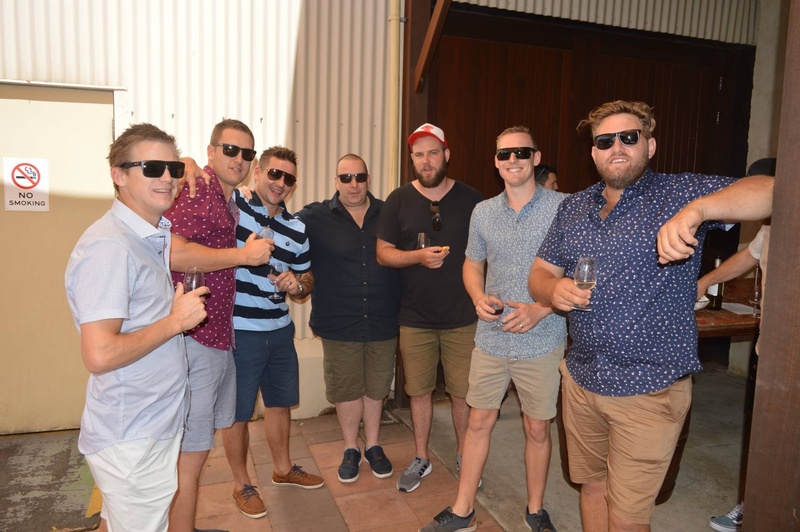 Our signature Pub crawls include Free booked VIP entries as we have negotiated the best deals in Perth which include up to $400** of value with some venues offering a couple bottles of sparkling for the occasion! 3 venues is ideal or drop a venue and include some entertainment for the night! We book all the venues in so no stress - sit back relax and let the good times roll! Don't feel like you have to organize too much else, the Diamond Lounge caters for it all. Music / Entertainment / Dancing...Feel free to BYO nibbles too if you didn't want to stop for dinner. Plenty of room for platters. Of course, Pick up and drop off at the location of your choice - and we can help with booking a spot for you if you wish. Cruise with the Diamond Lounge for the perfect Hens day! Invite all your girlfriends and get ready to rock the Valley in true luxury and style. Allow our 2 staff members to make sure you are looked after as we cruise out to the Swan Valley and indulge in wine, cheese and gourmet foods. On board the Diamond Lounge, you will have a 5 star wine cruise like never before, with an onboard dance floor and pole, karaoke, 2 massive screens and awesome sound and lighting, your special day will be one to remember. Choose to be dropped off at your favorite pub or night spot or to the destination of choice. we have 5, 6 or 7 hour packages available. Boys - we have you covered choose the following options when hiring the DL. we are happy to customize the hire to what suits your arrangements. Start early with the boys and hit up the swan valley for a great day out! either start with stopping in a super golf or paint balling then follow it up with an awesome lunch and a few beers at a local craft brewery. 6 hours go your own way tour - plan your own day and we will provide our staff and services. 5 or 7 hour all inclusive packages - 2/3 tastings included and a gourmet lunch. Cruise the coast and enjoy some of Perth's best coastal venues! Our 4.5 hour Night Tour is a massive hit with the boys, all booked in for you at our regular venues which offer great vip deals. 3 venues of your choice - great night out! 1 hour hire - best for transport between venues/activities while enjoying the comforts of the Diamond lounge has to offer. 2/3 hours - cruise at leisure on the DL and why not include some entertainment while your at it! All charters come with a professional driver, all our staff are well dressed, vibrant, friendly and professional as customer service is our number 1 goal. Throw in a pole, dance floor, smoke machine, 4 microphone Karaoke, on board bathroom (30 Seater), the best in sound and lighting, red carpet rolled out your arrival/departure, Free water and photography, why would you bother with anything else!